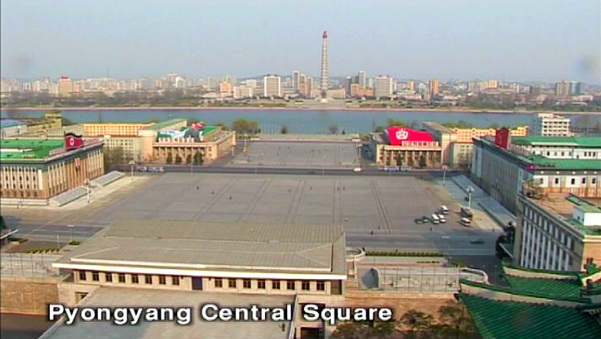 Pyongyang is a “No-Today” city, a city without “Gegenwart”. 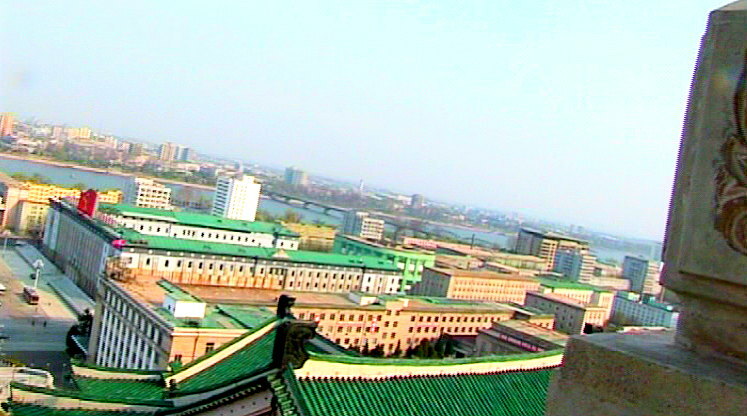 The architecture of the buildings, the monuments, murals and the mental state of propaganda, dominated by the communist party, give the impression of a “City under Water”. 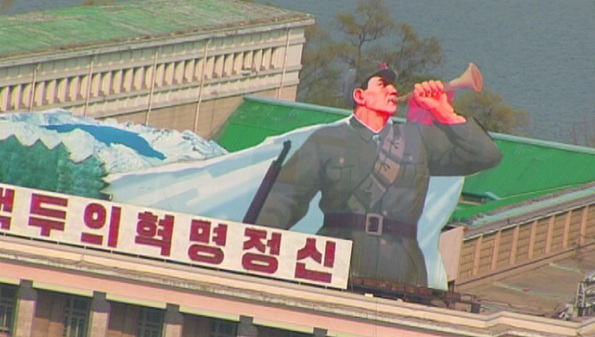 The deeper I dive into this sunken amalgam mixer the more images and symbols appear of KIM IL SUNG’S ever-present personality cult. 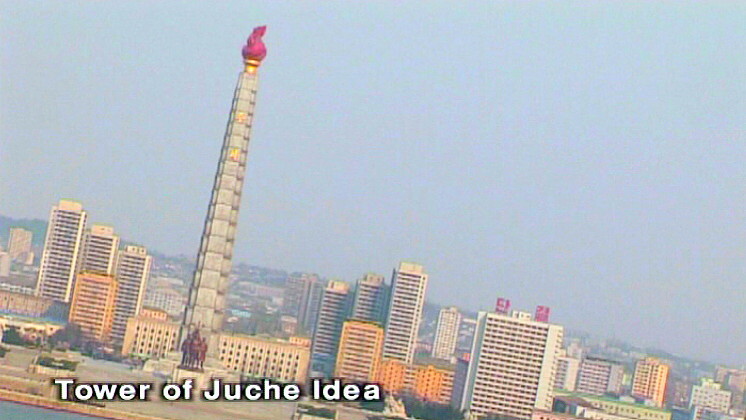 The Juche Idea is based on a set of principles by KIM IL SUNG that “man is the master of everything and decides everything”. 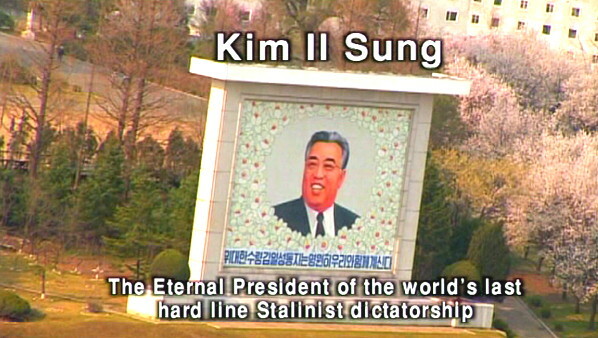 In fact this hands a blank check to the KIMS to do as they wish. 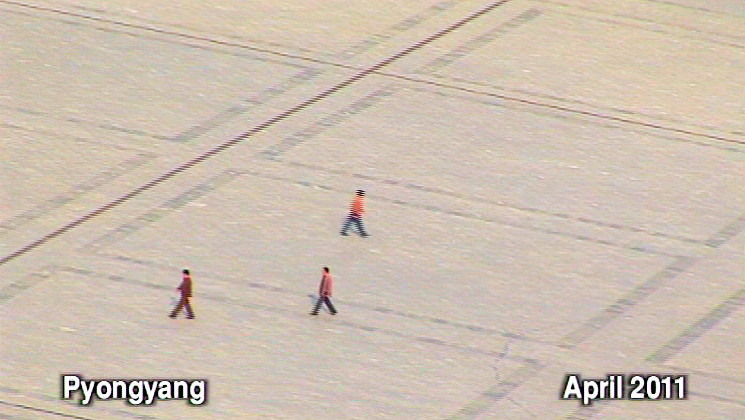 Grand People’s Palace – though it is called “Grand People’s Palace” – people cannot walk in without permission. They are chosen from their factory or workplace and sent to the Palace after passing ability tests. 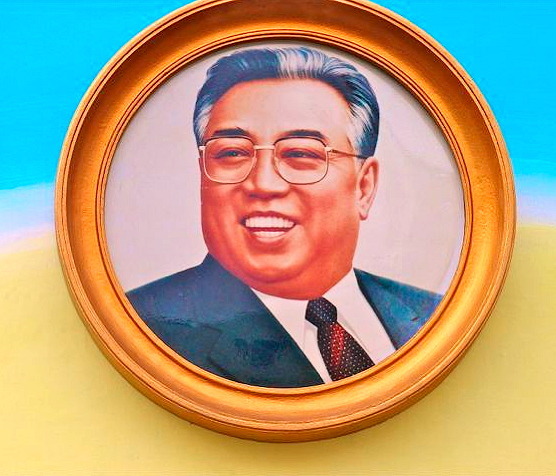 They have to conform to the strict ideological guidelines of the Communist Party of North Korea to be allowed to learn languages, join the library and read foreign books, specially chosen and translated for them. From the balcony on the top floor of this huge building made of marble we have an excellent view over Pyongyang and the Central Place. The huge buildings and monuments – some the tallest in the world in size, volume and marble – leave pointless marks.